Feeling empathy for one person in need while being aware of others may increase the motivational ambivalence between the motive of helping the one and the motive of helping the others, and such motivational ambivalence may reduce the helping directed to the person in need. To test these hypotheses we carried out three studies in which participants were faced with a real case of a child in need. 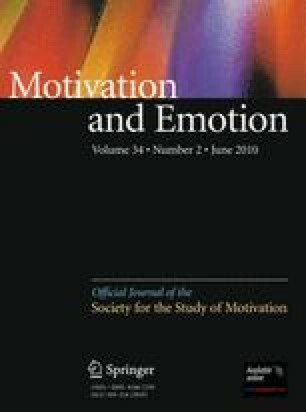 In Study 1, empathy, awareness of others and motivational ambivalence were allowed to occur naturally and subsequently measured. In Study 2, empathy and awareness of others were experimentally manipulated, and motivational ambivalence measured. In Study 3, we tested how empathy and motivational ambivalence influenced an actual helping decision. Taken together, the results supported our two hypotheses. The present research offers insight into processes not previously considered in the research, but which may influence decisions about assistance to others in need. This research was supported by PSI2008-04849 (Spanish Ministry of Education and Science). The authors extend their gratitude to Pilar Carrera, Eric Stocks and two reviewers for their helpful comments on a first version of this article, Carlos Oceja for his assistance in editing the stimuli used in Study 2, and Susana Sariego and David Weston for their work in the preparation of the English version.